There are lifestyle needs people take for granted. Personal/sacred space is one of those, especially with constant contact through smart phones, we virtually have no space to call our own. 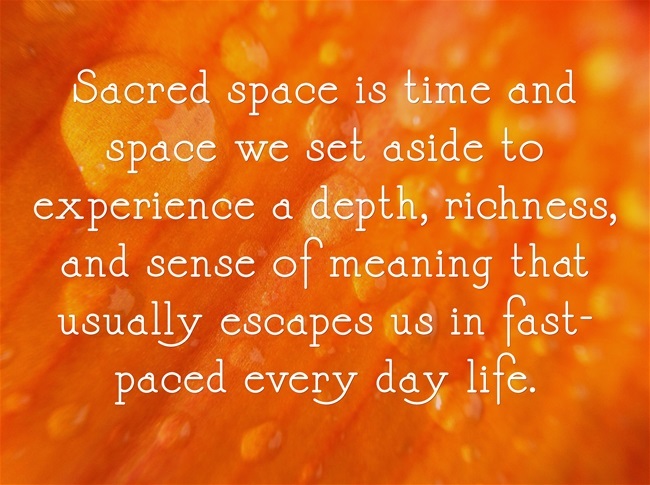 Is a lack of sacred space the reason you may be feeling unbalanced and not yourself? 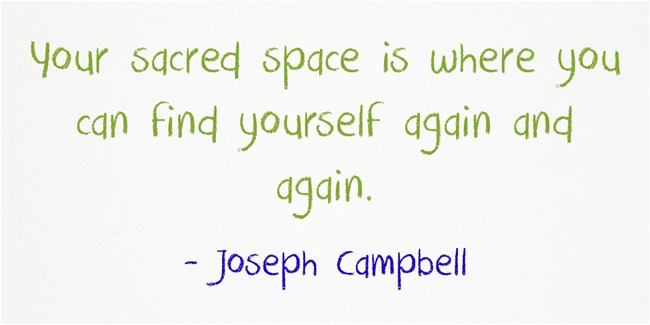 A sacred space is something you never knew you needed until you don’t have one and you become cranky and out of sorts (for some reason). It’s a relatively easy fix that has a huge impact. Think back to when you were a teen and you started craving your own space for the first time…like outer space kind of space…to do your own thing. When I was a teen I was pretty sure my sacred space was the confines of my room, which ironically had been a punishment just a few years before that. I postered my room with George Michael. Madonna and Paula Abdul-inspired clothing sprawled out over every surface. This space was me…aside from the pile of unraveled cassette tapes, notes and notebooks, and stuffed animals shoved in the corner- I don’t know who that person was. As I see it now in my mind’s eye, it was a first class disaster zone, but it was mine. You’ll be pleased to know I grew out of my mess and into my own place. It represented a new me- part of my past and part of my future self. My entire apartment was a sacred space- I dressed it up with candles and potpourri, books on shelves, and comfy-chic furniture. This was a place I looked forward to after a hard day’s work waitressing. I needed my space like I needed air. Years later my space shifted…to my husband’s place after we got engaged. His space was not my space and if it was possible to divorce before you get married, that was where we stood after a few short months of sharing space. This is an obvious struggle for couples and roommates. I had no space of my own and it never dawned on me to create one (when you’re irritable and just don’t know why). I lived like an alien in my husband’s comfort zone. Somehow we got married despite the tumultuous shift in our living arrangement…and thankfully moved into our own place. I had free reign to decorate our life…our place. I took him into consideration and added my own touch as well. I felt good again- I excelled in my career while finding it easier to create and maintain healthy habits. First, your own body becomes the baby’s. Secondly, little ones lack boundaries. The bathroom isn’t even a sacred space. “Your” bed becomes 90% there’s, 9% the dogs, and 1% you hanging on for dear life. As the kids got older, but still young enough to trample all over personal boundaries, I realized I needed to make the effort to create my own sacred space. 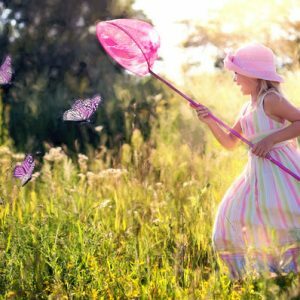 As a mom, it was the first time I identified my need for boundaries. I had to make the effort to establish my space even when the kids were romping around. One thing I dearly missed post-babies was reading. I’m not talking about “Good Night Moon” or “Thomas Train”. Sitting in a chair and reading an adult book with big adult words and complex story lines. The sacred space I needed was a “reading nook” so I went to work creating a comfy corner of our house with a plug-in fireplace (6 different firelight features for ambience) and a super-plush rug to dig my bare feet into. Rule #1 creating your space, it’s YOUR space. Add creature comforts- you can find things around your house rather than buy new items. Use small visual cues and personalized flair to provoke a free, relaxing, creative, and/or comforting feeling. Add anything that makes you want to be there. Keep it free from clutter! The rest of the house could be in shambles- keep this place your tidy zone. 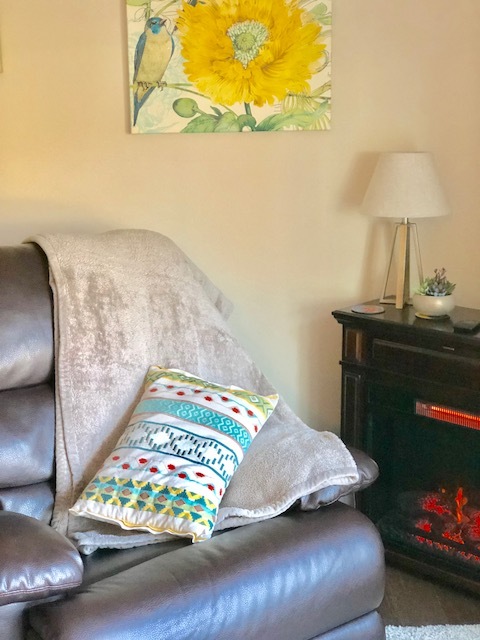 Home can mean “work” or “obligations” so create a space (a seat on the sofa or home office doesn’t count) in your home where nothing is required of you. Choose specific sounds such as soothing music or soundscapes (there are apps like “Nature Sound” or “myNoise“). Visual appeal matters- choose colors you enjoy or research the meaning of each color. Smells can trigger calming effects in your brain- try essential oils, which can have positive effects on your health and wellbeing, or wax warmers and incense as well. The textures of pillows, rugs, and blankets are important, but also having a variety of textures can be uplifting and interesting to your senses. Relaxing décor can set the mood, such as salt lamps, crystals or unique rocks, pillows or a meditation pillow, cushions, calming art, blankets, rugs, a decorative curtain or privacy room divider, candles, wax warmers, books, pottery, sound bowls, and houseplants. 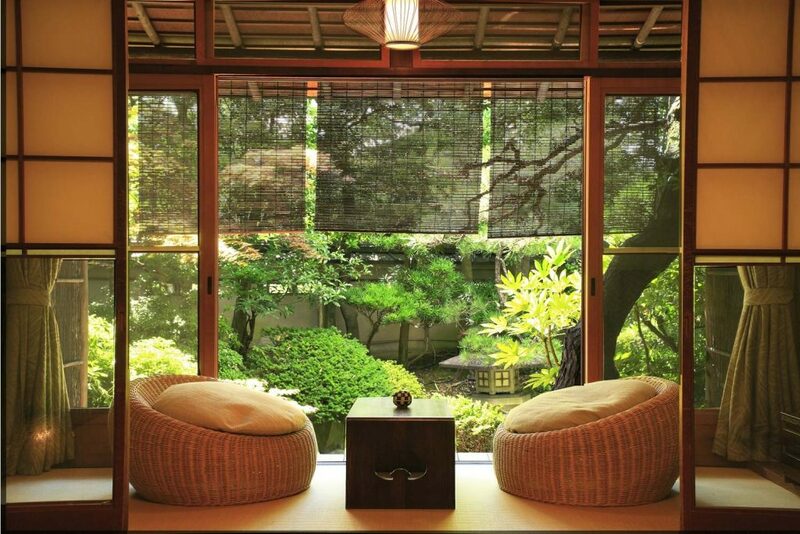 Hint: Pinterest has wonderful ideas for your “Sacred Space”. You might be pleasantly surprised to discover yourself again. Do you need your own space? Perceived control. 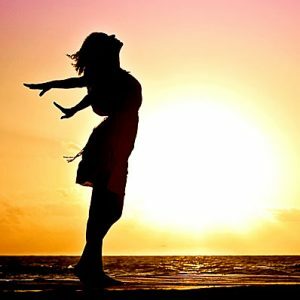 Human beings like to think they are in control and even though we don’t have as much control as we think we do in the grand scheme of things, we can create a scared space to give us that feeling of control. This feeling transfers into other parts of your life too. Studies show having a perceived sense of control is good for your health and prolongs life. BONUS! Be yourself. 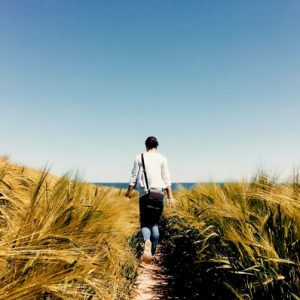 We are always in danger of losing ourselves to relationships, kids, jobs, technology, living in a foreign country or even living with roommates. Sometimes we immerse ourselves into our life so much that we forget who we are (every mom or workaholic is nodding their head right now) so you must have a space that reminds you that you matter and most importantly who you are aside from everyone (and everything) else. You need a physical space, not virtual. At the dawn of the Internet we began to create our space on social media accounts, but now it’s all about “likes”, the veneer of life, and being consciously and keenly aware of our accounts in the public eye. 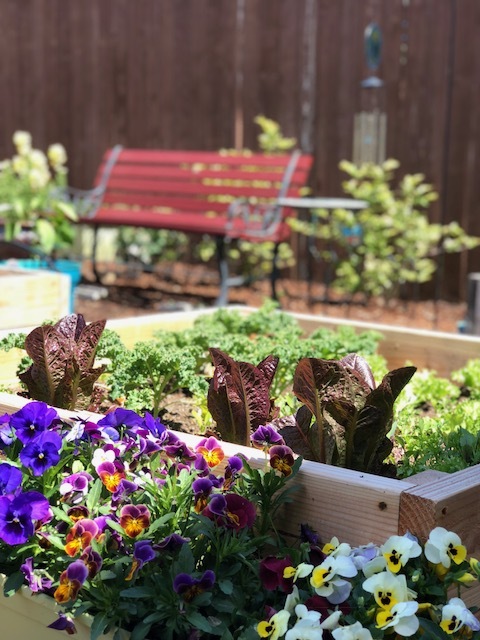 Recently I expanded my sacred space to include an outdoor area- a flower and vegetable garden with a bench was just what I needed during the warmer months. Remember, it doesn’t have to be an elaborate space. It should be an intentional space- one you set aside with the intention of relaxing, reflecting, creating art or whatever it is you want to do. It is yours!